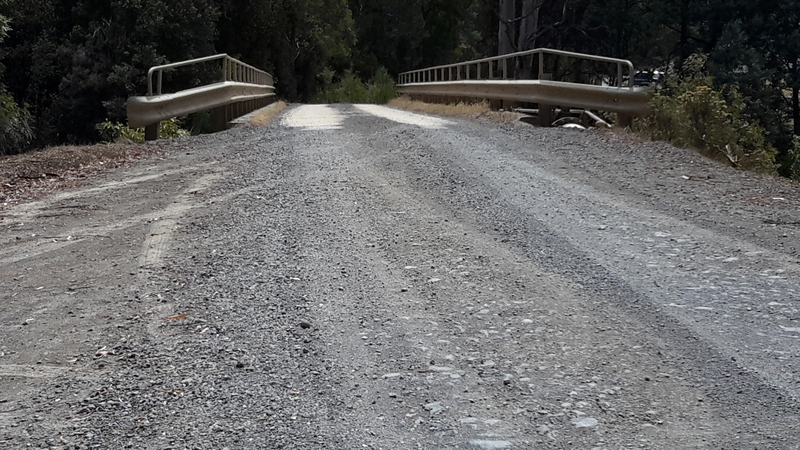 Next to the bridge over the Derwent River on Wayatinah Road, an Atlantic Salmon hatchery owned by Salmon Enterprises of Tasmania Pty Ltd trades as Saltas. 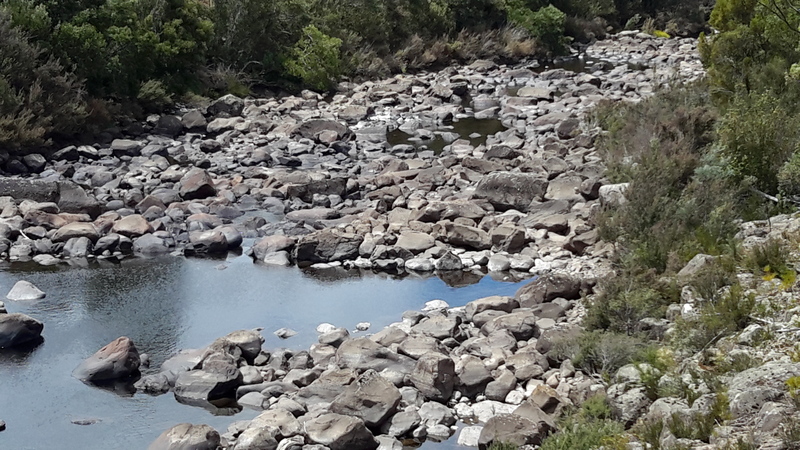 A thesis by Anna Do offers ‘SALTAS currently operates two hatcheries: Wayatinah hatchery on the Derwent River and the nearby Florentine hatchery‘. When I walked on the north/eastern side of the river upstream from the Wayatinah Power Station last year I could not identify the buildings near the confluence of the Florentine with the Derwent River. Now I understand that I was looking at the second hatchery. 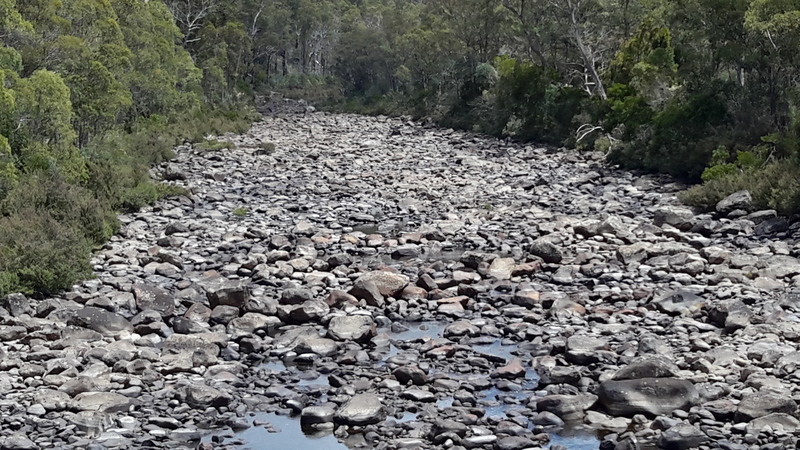 In this thesis on page 8, an aerial photo of the Wayatinah hatchery shows the Derwent River with considerably more water flowing that exists today. Refer to my photos of a stony river bed earlier in this post. 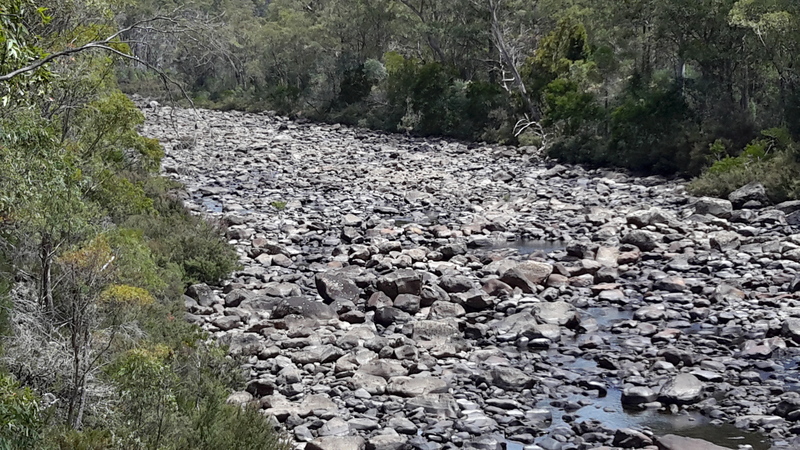 This entry was posted in Derwent River, Tasmania, Walking and tagged Atlantic Salmon, Canada, Derwent River, Gaden hatchery, Nova Scotia, salmon, Salmon Enterprises of Tasmania Pty Ltd, Salmon hatchery, Saltas, smolt, Tasmanian Fisheries Development Authority, Tasmanian Salmon Growers Association, Wayatinah, Wayatinah Road on February 2, 2016 by Tasmanian traveller.